It's time to feature Autumn! Autumn's blog was one of the first blogs I started to read. I was first drawn in because of her ability to paint furniture. 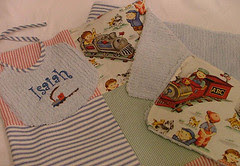 Then as I hung out a while longer, I quickly realized that she was one of the most amazing seamstress' I had have seen. She has no idea how talented she really is. And what kills me, is that she just started sewing a few years ago! She is my inspiration........maybe I too will learn to sew one day. 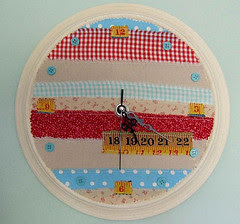 Love this little clock she altered to go with her re-decorated sewing room. 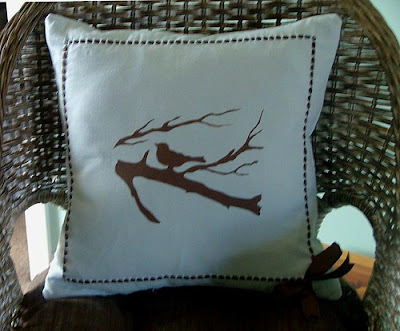 Look at this stencil she did for this pillow! Such precision. She also did some other art pieces for her living room. Autumn sells her creations on Etsy. She has such a great variety. 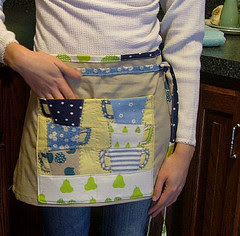 And could this apron be any cuter? 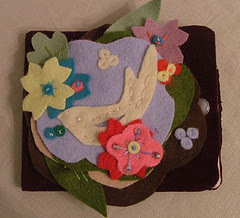 She has lots and lots of others in different colors and combinations. She jokes that she has finally made herself a purse. Darling! 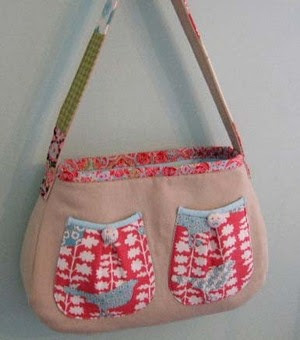 She also has so many styles of purses. I must figure out which one I want. 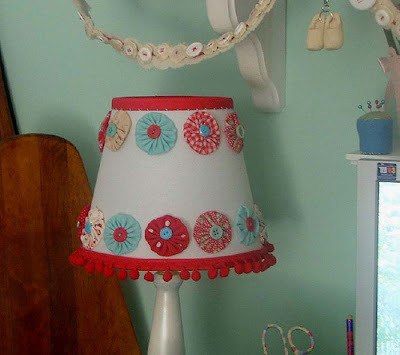 Not only can she do crafty things with fabric, but she has a real flair for decorating. Simple, pure, warm. You know how I love before and after shots. Here's her kitchen......before and after. I love them both. And, yes she painted those chairs. 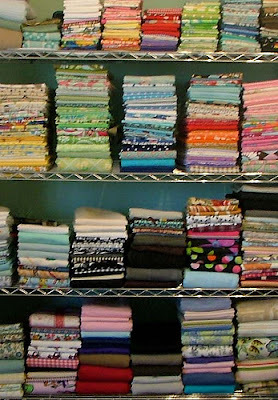 love the look of all this fabric. And this! SWEETNESS! This is in her sewing room. My friends would never come over again if I was Autumn, because I would be parading around saying "look, look.......I made this........and this.........oh and there's this and we can't forget this"
But Autumn is so humble, like I said..........she has no idea how talented she is. Autumn, I know you're kind of shy, but you know I love your style. So I had to share you with everyone else. Oh, thankyou, thankyou, I love this one...Great pick! You are such a sweetie!! Thank you so much for this amazingly kind post. What a nice way to start my day. You have put a great big smile on my face that will be with me all day. Excellent choice! 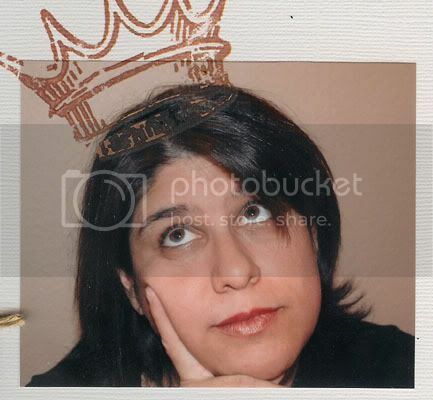 Autum is one of the best in blogland! LOVE Autum and have for quite some time! She's blessed with incredible talent, a knack for writing and a giving spirit. She's lovely!!! VEry cool. Love this one. 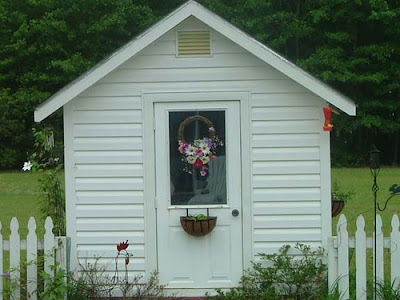 You've turned me on to so many cool blog stops. I wish I had the time to take the inspiration and turn it in to something of my own. Keep it coming! 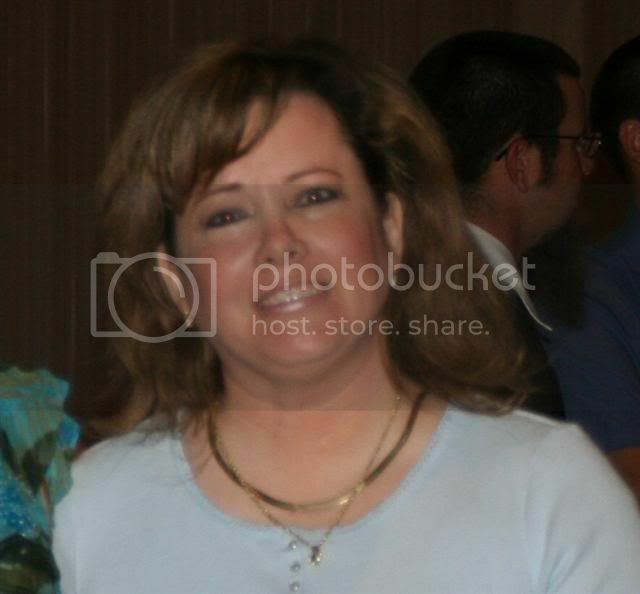 Isn't she a doll? I love Autum!!! I love Autum, too! She was one of the first blogs I read. She makes me laugh, cry, think, and inspires me to create. She's a sweetie. I've been following her blog for a long time now - she's a terrific blogger! What a talent she is and to be so humble too.